A bunch of bloggers I love have done some really awesome summer activity boards that are cute and fun. 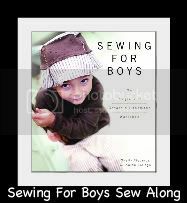 Check out my 2 favorites, Stacey's Summer Activity Calendar at Boy, Oh Boy, Oh Boy! and Delia's B-I-N-G-O Summer Charts at Delia Creates. If I wasn't totally burned out from the major craft cramming that has been going on here I might have done something creative with it. Instead I have a list on a piece of printer paper. It is going to hang on the side of our fridge to remind us of all the fun things we want to do this summer. 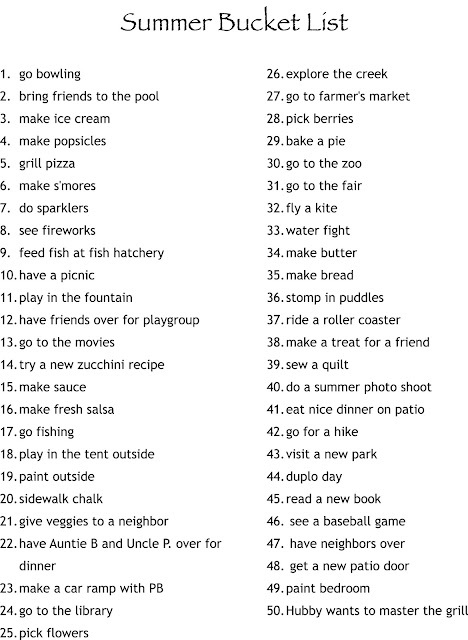 It was surprisingly easy to think of 50 things we wanted to do. Some of the items are things we want to do with PB. Some are goals for Hubby and I. Like the ever so boring replace the patio door and paint outside. But these are all things that for the past 2 summers we meant to do but just kept forgetting. Hopefully this will help us get it done! 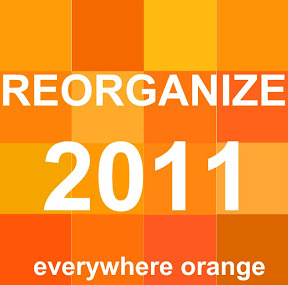 I decided I am going to capture this list on Instagram and I'll share the things we have completed here on Orange Fridays. Here is #37 ride a roller coaster. It was a kiddie roller coaster but I am counting it. I get motion sick and this was a major ride for me without some meds :) CHECK! I am sure some weeks we will have done nothing and others we will have crossed off a bunch. I am ready to kick off summer!! Do you have a list of things you want to do this summer? Love making summer to-do lists. It is always fun to anticipate summer activities!